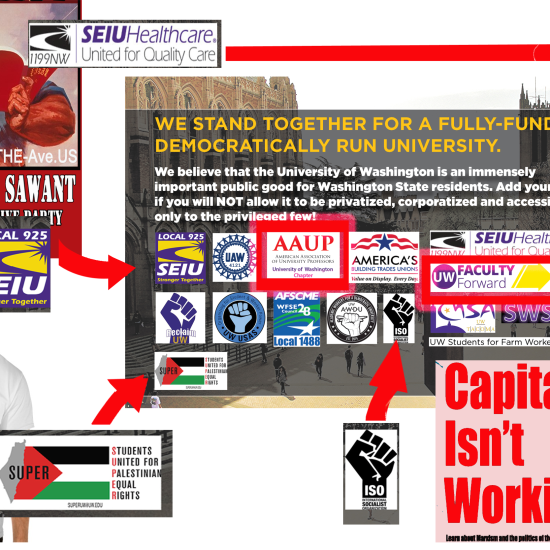 This post was taken From an SEIU UWFF site during the Sawant Campaign and annotated as shown here. The AAUP listserv is beginning to sound more than a bit like a Republican Presidential debate. 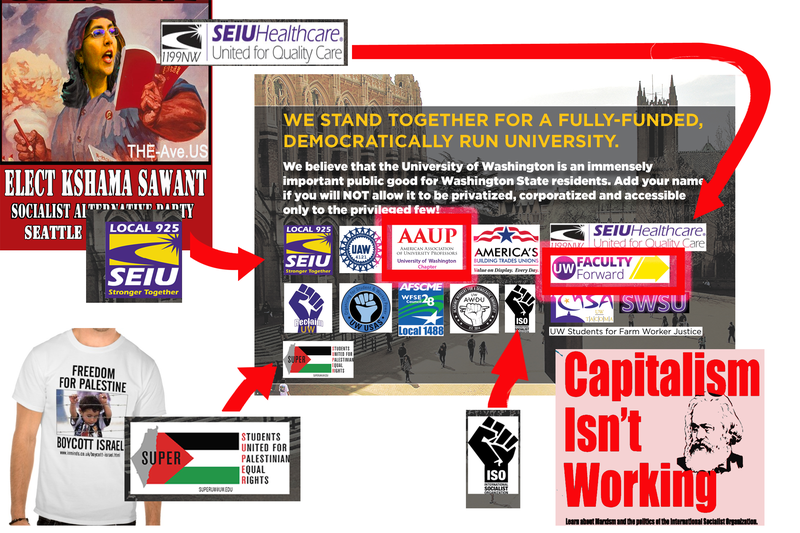 While one side brings up the issues of politicization of the UW by SEIU, the other in a not so naive way, proclaims that is is shocked at claims that the SEIU and SEIU/UW have been associated with causes, including the Sawant campaign in Seattle, BDS, and, yes, the International Socialist Organization. Posted 17 Feb 2016 by theaveeditor in Misc.